Israel-based Orbotech announced that TianMa selected the company's Automated Optical Inspection (AOI) and test systems in its new 6-Gen flexible OLED fab in Wuhan, China. 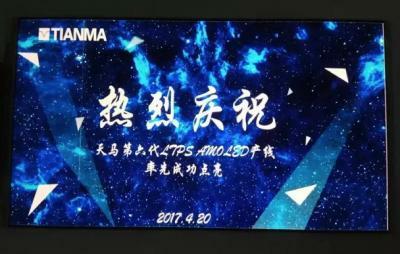 Orbotech's systems will be used to optimize the quality, throughput and process efficiency at Tianma's new production line. Orbotech also reveals that Tianma's investment in this new fab will reach about $1.8 billion. The new fab has stated sample production recently and will ramp up to mass production by the end of the year. The new line capacity will reach 30,000 monthly substrates, and Tainma aims to double the capacity in 2018.